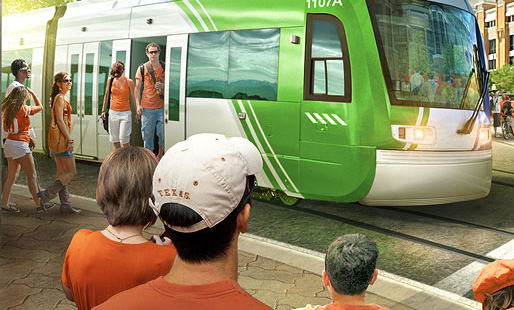 A rendering of Project Connect's vision for urban rail in Austin. Some die-hard public transit supporters say Austin’s 9.5 mile, $1.38 billion urban rail proposal is misguided, too expensive, and follows a poorly traveled route. "Why would a city our size put in something that is so pricey on a very weak route?" former Capital Metro board vice president Lyndon Henry says. "This is insane." 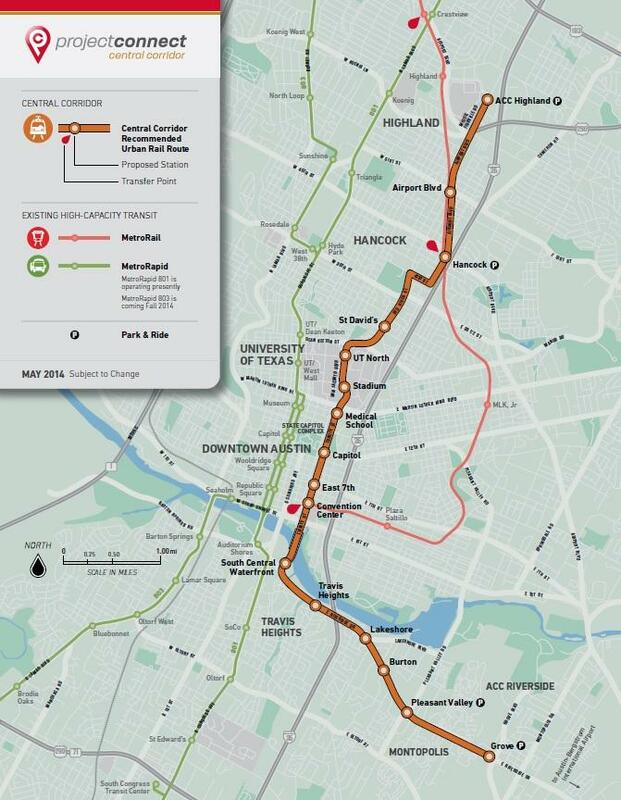 A map of Project Connect's proposed route. 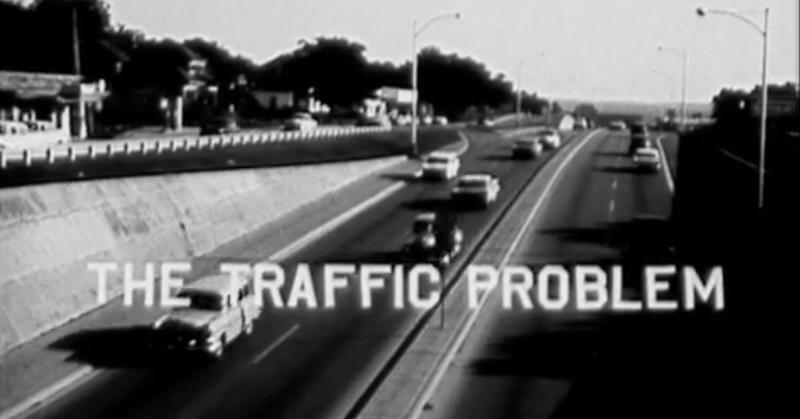 Henry has been fighting for urban rail in Austin since the 1970s. He's now serving as a technical advisor for the Texas Association for Public Transportation, which is advocating for an urban rail route along Lamar and Guadalupe. "The main travel corridor is in the center of the city," Henry says. "That's where it needs to go." You can hear our interview with Henry above. For a contrasting view, you may also want to listen to our interview last week with Kyle Keahey, who's leading Project Connect, the coalition of city and transportation groups behind the current proposal, below. Disclaimer: Project Connect is a KUT sponsor. Update: The Austin City Council unanimously endorsed two locations for urban rail last night: the Highland Mall region and East Riverside. You can watch citizen testimony and council action on the recommendation. 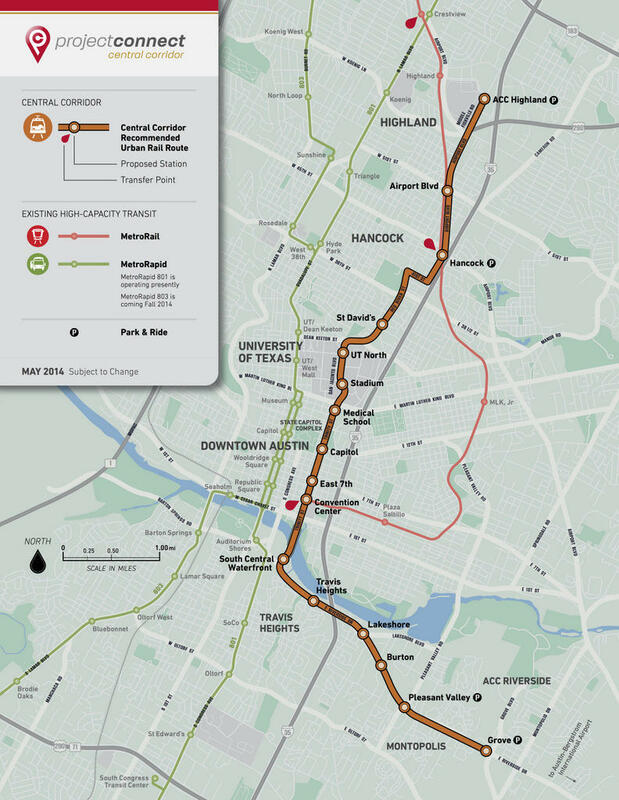 As KUT reported, investment in those corridors was proposed by Project Connect – a working group of City of Austin, Capital Metro, and other regional transportation officials. Project Connect named Highland and East Riverside after what it said was a robust, data-driven public input process – but many rail advocates present at the vote last night questioned the process and the decision. Highland and East Riverside: Austin's Best Spots for Urban Rail? The group advising the city on urban rail has come out with initial recommendations: a transportation investment that runs from the East Riverside Corridor, through Downtown and out to the Highland Mall region. 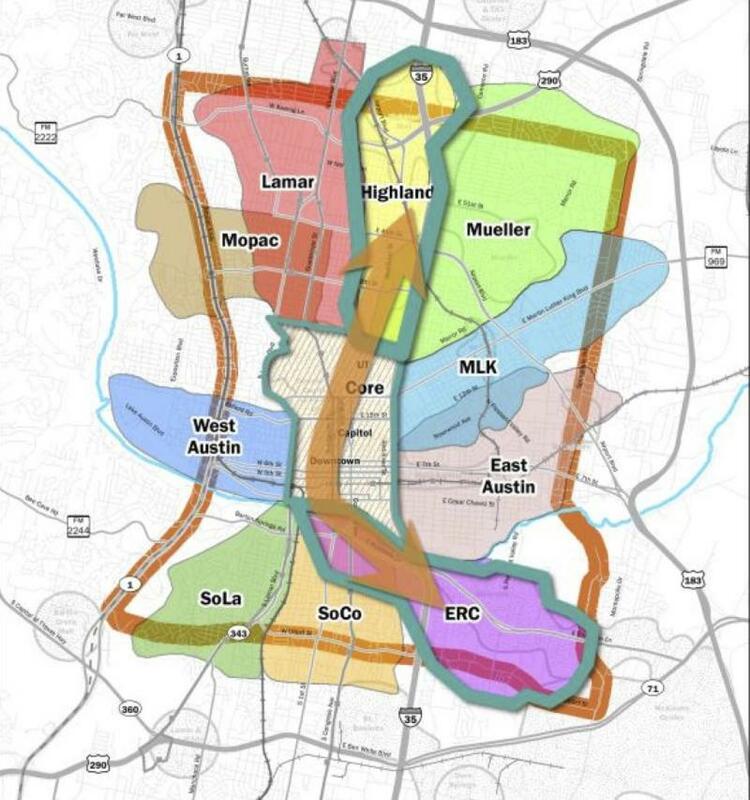 As KUT previously reported, the recommendations began by dividing Central Austin into 10 subcorridors – similar to compass points pointing out from a center, including Downtown and the UT campus. In the end, they chose two subcorridors for investment: Highland and East Riverside.